CEMA STATISTICS FEBRUARY 2017 – ARE OUT! February 2017 booked orders decreased 26.4% when compared to February 2016 orders! 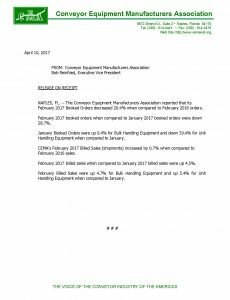 NAPLES, FL – The Conveyor Equipment Manufacturers Association reported that its February 2017 Booked Orders decreased 26.4% when compared to February 2016 orders. February 2017 booked orders when compared to January 2017 booked orders were down 28.7%. January Booked Orders were up 0.4% for Bulk Handling Equipment and down 39.4% for Unit Handling Equipment when compared to January. 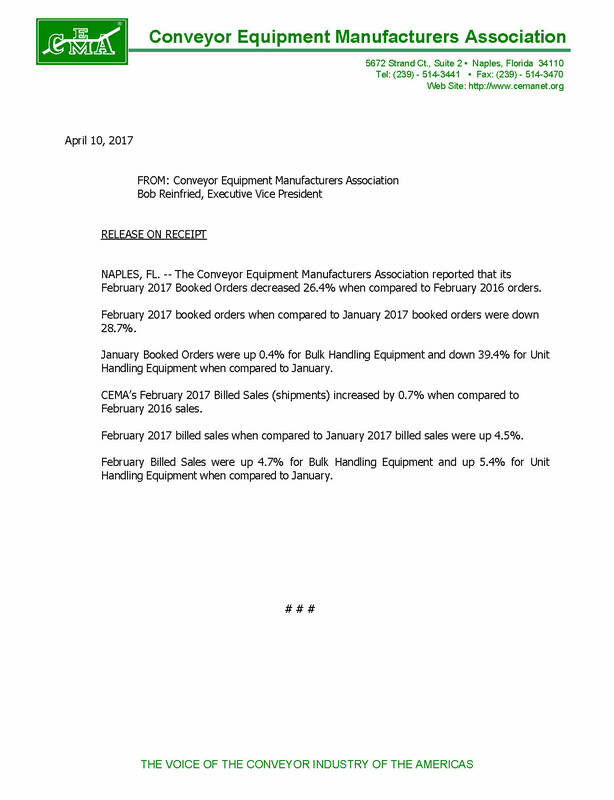 CEMA’s February 2017 Billed Sales (shipments) increased by 0.7% when compared to February 2016 sales. February 2017 billed sales when compared to January 2017 billed sales were up 4.5%. February Billed Sales were down 4.7% for Bulk Handling Equipment and up 5.4% for Unit Handling Equipment when compared to January. NEW MEMBERS – RADICON DRIVE SYSTEMS, INC.
CEMA MEMBERS in THE NEWs! MARCH-APRIL 2017 IS OUT! CEMA STATISTICs JANUARY 2017 – ARE OUT! CEMA STATISTICs – SEMI-ANNUAL SPRING 2017 ARE OUT! 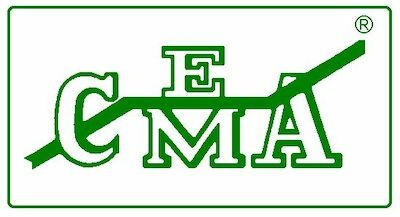 CEMA Mbrs in the NEWs Feb 2014!